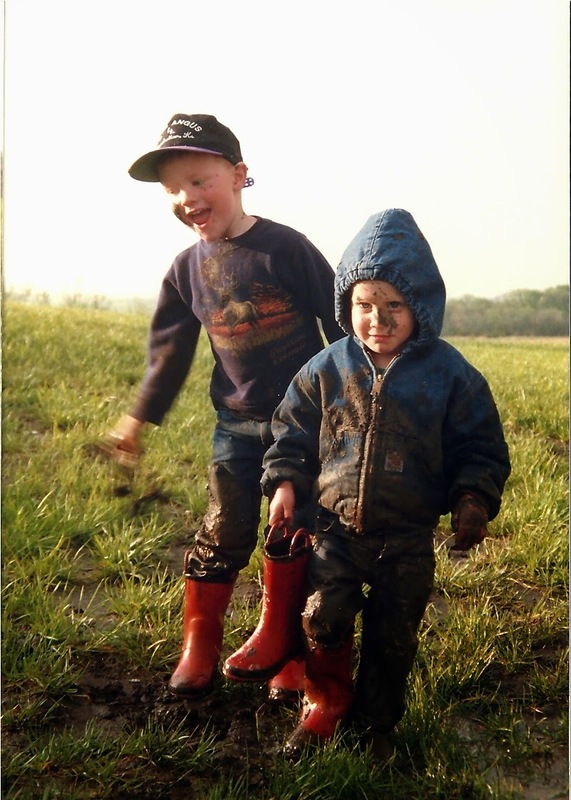 Kids, Cows and Grass: April showers bring May flowers...and muddy boys! 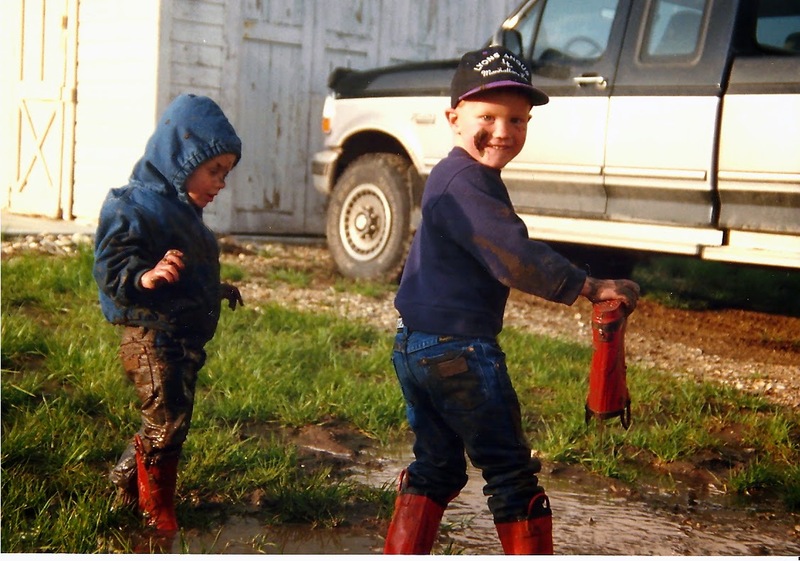 April showers bring May flowers...and muddy boys! Of course, being the sensitive mom that I am, I grabbed the camera and hollered at Trent to save his brother! I think he kind of enjoyed the whole event--judging by the look on his face as he explains what happened! 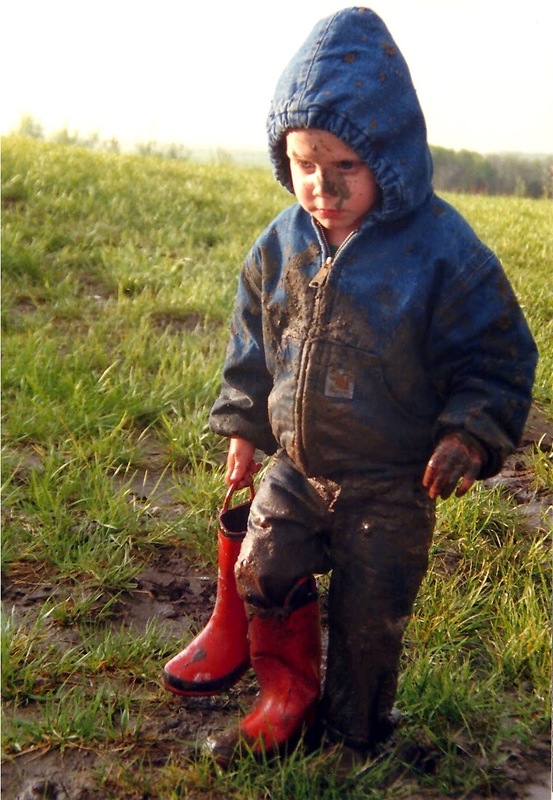 Pretty sure The Little Boy didn't like being this muddy though. About this time in my parenting career, I bought a second washer and dryer. No, I didn't replace the first set...I put them RIGHT NEXT to the other set!! At the time, we could barely afford them but that has proved to be the best decision I ever made! 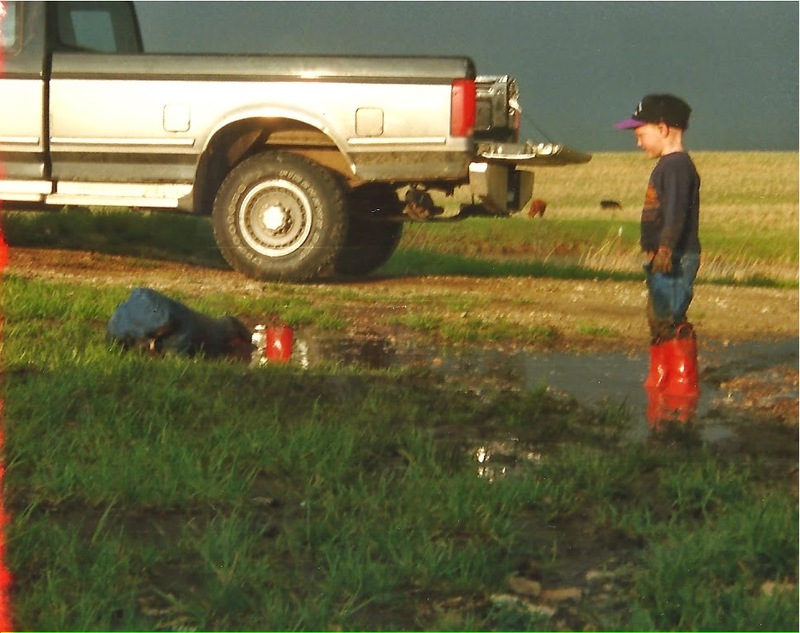 You know, that mud hole has never grown very good grass. Thank you so very much for sharing this. The third photo reminds me of my middle son Jacob and his whole hearted up to nothing good grins that he still shares with us. Oh how much fun you can have with a mud hole! I finally had to put bricks for a patio in that mud hole! It never grew grass--because kids were always playing in it!! now that they are grown up, I think it was time to do something with that hole!